What's not to love about Chris Pratt? He's hilarious. He's hot while buff and ripped in Guardians of the Galaxy. He's super cute as the bearded loving doofus on Parks & Rec. 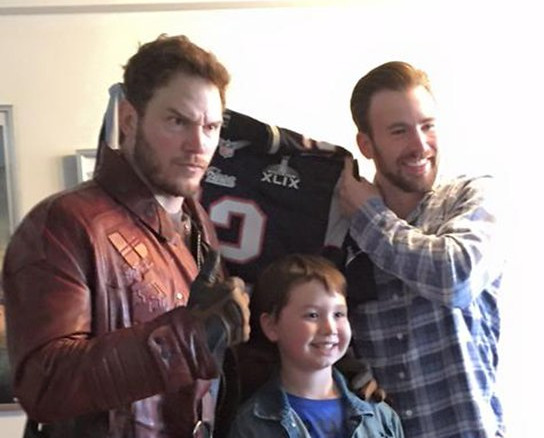 He placed the most adorable Superbowl bet with Chris Evans aka Captain America. Chris Pratt is the stuff of dreams. He is the adorable goofy guy of my dreams this week.